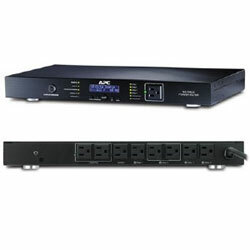 The APC AV 15 Amp G Type Rack Power Filter protects high-performance audio and video system equipment from damage due to power surges, spikes, and lightning strikes. LED status indicators: Allows you to quickly understand unit and power status with visual indicators. Multiple mounting methods: Allows for standardization on one product for use in different environments.